April's Theme: One Planet, One Future Join us for the monthly Carpe Diem-Washington Revels Community & Family Sing. This month we celebrate our planet on the eve of Earth Day and honor Arab American Heritage Month. 6:30-8:00 —International Songs & Rounds for all ages 8:00-8:30 — Refreshments, Social Time, Celebration of April birthdays Everyone is welcome to bring refreshments and songs to share. Sign up in advance to lead a song by contacting Jo Rasi (jrasi@revelsdc.org). Or just show up to sing (or even just to listen)! 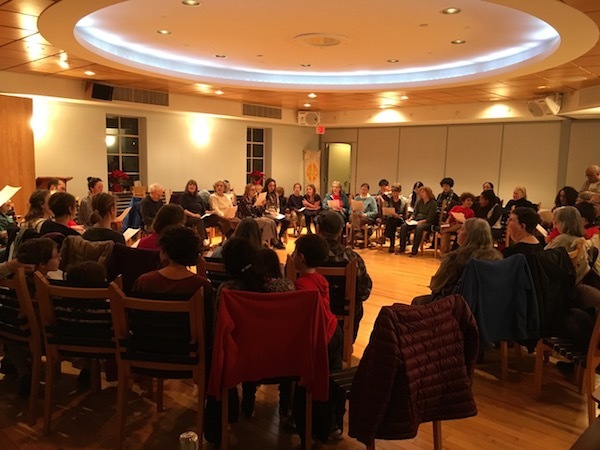 The Community Sings are a partnership of Carpe Diem Arts and Washington Revels, with in-kind support from Takoma Radio. We gather on the 21st of every month -- join us on May 21 for our next Sing!